In 2012 Tori Pena (Pole Vault), Mairead Murphy (Heptathlon) and Anita Fitzgibbon (Javelin) became the latest women to set new Irish records. But how do these compare to the other marks set by Irish women? James Sullivan has compiled a list of women’s Irish outdoor senior records from the strongest to weakest. Athletics is arguably the most diverse sport of them all. Inside the stadium you have men and women of all shapes and sizes competing. Some sprint. Others jump. There are throwers, distance runners, hurdlers and race walkers. And lets not forget the all rounders, the multi-eventers. In the umbrella sport of athletics it is therefore only natural for some to want to compare performances across events. But how can this comparison be done? Well with the help of the 2011 IAAF Scoring Tables it is possible to score a particular performance to analyse how it matches up against a clocking, distance or height in a different event. So for the first time, a ranking list of all Irish records has been compiled based on these tables. This is not intended as pure fact, and indeed the IAAF tables are constantly evolving every few years. What this list does however is provide a guideline of the strength of each Irish record and how it matches up against the others. Below is a ranking list of all women’s Irish outdoor senior records as at 16 October 2012, along with a brief commentary on the top 10. The IAAF points score for each record is highlighted in bold. The men’s ranking list can be found here. Unquestionably Ireland’s greatest ever athlete, Sonia O’Sullivan from Cobh, County Cork had a long glittering career over a wide range of distances and she still holds every Irish record on the track upwards from 800m. The greatest of these however is undoubtedly her 3000m clocking of 8:21.64 at London’s Crystal Palace in July 1994, which was a new European record, one which would last for 8 years before her greatest rival Gabriela Szabo of Romania broke it by just 0.22 seconds. While the 3000m is no longer a championship event (O’Sullivan winning gold the final time the distance was contested at a major championship at the 1994 European Championships in Helsinki), it is still a regular fixture on the Diamond League and Grand Prix circuit and to this day, no African has run quicker than this time, and indeed this clocking would have been a world record had a whole host of Chinese not appeared out of nowhere the previous season to run silly times at their national championships before disappearing back into obscurity. The less said about that the better! Perhaps Ireland’s most unheralded athletics star, Kerry’s Gillian O’Sullivan excelled at a world class level for half a decade before injury cruelly brought an untimely end to her career. 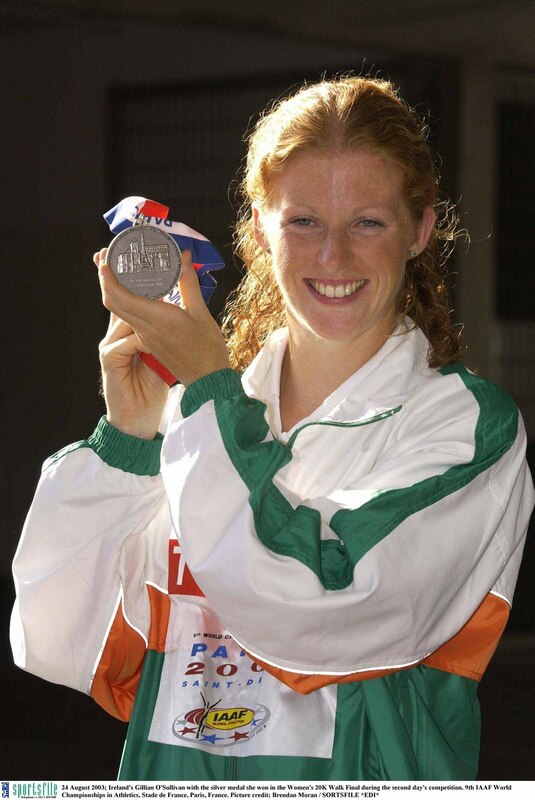 Among her many achievements was a silver medal at the World Championships and a 4th place at the European Championships, but an accomplishment that is often forgotten is her world record of 20:02.60 over the 5000m walk at the National Championships in Santry in July 2002. While the distance is not contested all that often, this record is extremely strong and still stands unchallenged over a decade later. The fact she set this mark with no real competition makes the performance all the more remarkable. The 2000m may be a very rarely run distance on the track, but the quality of this record cannot be questioned. In July 1994, one week before her 3000m European record, Sonia O’Sullivan targeted Maricica Puica’s 8 year old world record of 5:28.69 at a meet in Edinburgh. The Cobh athlete led from the gun and was pushed all the way until the final 100m by Scotland’s Yvonne Murray before she strided clear to smash the old mark by over 3 seconds. The record is now 18 years old and hasn’t been troubled in that time. The most notable attempt at breaking this world record in recent times was an effort by Ethiopia’s Gelete Burka at the Brussels Diamond League meet in 2009, where she failed by almost 5 seconds. 1995 was a sensational year for Sonia O’Sullivan as she won all but one of her 20 track races throughout the summer culminating in a World Championship gold over 5000m in Gothenburg. The 1500m was a distance where she was particularly successful that year and her national record run of 3:58.85 set at Monaco was a world leading time and indeed was the only sub 4 minute clocking in 1995. O’Sullivan’s greatest achievement over this distance came 2 years previously however when she claimed the silver medal at the World Championships in Stuttgart behind the unknown Liu Dong of China. In total she has run sub 4 minutes for 1500m on 4 occasions, all between 1993 and 1996. The women’s mile never had the same prestige as the men’s equivalent, and indeed nowadays is rarely run at major track meets. However notwithstanding this, the quality of performances at the top of the all-time standings are of an extremely high standard with Ireland’s Sonia O’Sullivan recording a time of 4:17.26 at the Bislett Games in Oslo in July 1994, falling agonisingly short of the then world record of Paula Ivan (4:15.61). This clocking put her up to 4th on the world all time list for the event, and 18 years on, she is still ranked 5th. Catherina McKiernan, a native of County Cavan made her name originally as a world class cross-country runner. On four consecutive occasions between 1992 and 1995 she claimed the silver medal at the World Cross-Country Championships, a feat unlikely to be matched in the future. 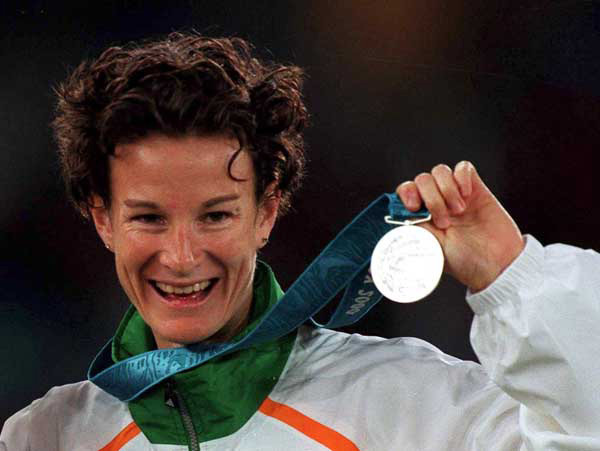 In 1994 she won the inaugural European Cross Country Championship and has been a member of Ireland’s medal winning teams at the 1997 World Cross-Country Championships (bronze) and 2003 European Cross-Country Championships (silver). However perhaps her greatest accomplishments were achieved as a marathoner. With limited success on the track, McKiernan stepped up to the 26.2 mile iconic distance in 1997 and at her first attempt, at the Berlin Marathon, won in a time of 2:23:44, which was, at the time, the fastest ever debut marathon in history. The following year she won the prestigious London Marathon before launching an attack at on Tegla Loroupe’s world record of 2:20:47 at the Amsterdam Marathon later that year. Although she missed out, her clocking of 2:22:23 remains an Irish record and at the time pushed her up to 6th on the world all-time list. Sadly a series of injuries scuppered the rest of her career, forcing her to miss the Sydney Olympics, and she was never able to reach the same heights again. 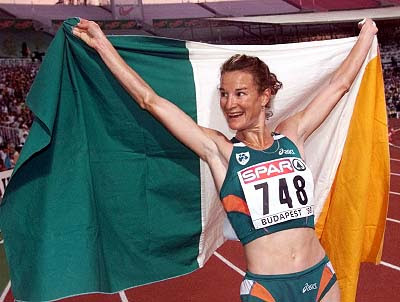 After a couple of difficult years in 1996 and 1997 there were many who felt that Sonia O’Sullivan’s best years were over, and notwithstanding her stunning double at the 1998 World Cross-Country Championships some believed that her best days on the track were firmly behind her. This belief was put firmly to bed when at the 1998 European Championships in Budapest she stormed to gold in her first ever 10000m track race, closing with a 28.1 second final 200m. The Cork woman went on to enjoy more impressive performances over this distance, with a 6th place finish at the Sydney Olympics, and then a silver medal at the 2002 European Championships in Munich in a national record clocking of 30:47.59, behind Great Britain’s Paula Radcliffe. Her most successful distance in championships throughout her career, her 5000m national record of 14:41.02 set en route to claiming silver at the Sydney Olympics doesn’t quite outline Sonia O’Sullivan’s full potential over the distance. In her autobiography she mentions that she was in 14:30 shape in 1995 when she toed the line at the World Championship final in Gothenburg, but alas such a performance was never required as she cruised to gold in 14:46. We’ll never know just how quickly she could have covered the distance during her peak years but her record at championships is of greater importance: World Championship gold, Olympic silver, European Championship gold and silver and World Cup gold. Known for her exceptional ability to peak when it matters most, Leevale’s Derval O’Rourke has become well known as a superb championship performer. On multiple occasions she has thrown out the form book to set a national record and beat more illustrious higher ranked opponents. Her big breakthrough came in 2006 when she claimed gold at the World Indoor Championships in Moscow over 60m Hurdles with an Irish record of 7.84 seconds. Later that year she continued this form to the outdoor season where she won the silver medal at the European Championships in Gothenburg in a national record of 12.72 seconds. After a poor 2007 and 2008 O’Rourke surprised everybody with a sensational series of performances at the 2009 World Championships in Berlin culminating in a fourth place finish in yet another national record clocking of 12.67 seconds. She followed this up in Barcelona the next year with another silver medal performance at the European Championships, in an Irish record of 12.65 seconds. She hasn’t approached this level since then, but it would take a brave person to write Derval O’Rourke off again! Ireland has had some great success in sprint disciplines over the last 10 years with the likes of Derval O’Rourke, David Gillick and Paul Hession excelling on the world stage. However, the athlete who paved the way for these future performances was Waterford’s Susan Smith. The 400m hurdler made her big breakthrough at the 1996 Olympic Games in Atlanta where she made the semi finals, and missed out on the final by just one place. The following year at the World Championships in Athens she became the first Irish sprinter to make a global outdoor final since Bob Tisdall at the 1932 Los Angeles Olympic Games, finishing in 7th place. 1998 promised a lot and at Weltklasse in Zurich she ran a national record time of 54.31 seconds, a mark which has not been threatened by anybody since. Unfortunately at the European Championships a couple of weeks later in Budapest she wasn’t able to continue this form and finished in a disappointing 8th place. Another major semi final appearance followed at the 1999 World Championships in Seville, and after a Sydney Olympics hindered by illness she decided to hang up her spikes. Ireland has had a lot of success in recent years in race walking with Olive Loughnane claiming World Championship silver in 2009 and Robert Heffernan finishing 4th at the London Olympics. However the first Irish athlete to make the step up to truly world class was Kerry’s Gillian O’Sullivan. Having competed at World and European Championships in the late 90s, she made her big breakthrough at the Sydney Olympic Games when finishing in 10th place. Two years later O’Sullivan narrowly missed out on a medal at the European Championships in Munich, being passed in the closing stages to finish in an agonising 4th place. 2003 however was to prove to be the highlight of her career. Firstly she set a new national record of 1:27:22 en route to victory at a race in Sesto San Giovanni. She then followed this up with a stunning silver medal at the World Championships in Paris, becoming only the 3rd Irish athlete to win a medal at the IAAF’s showpiece event, after Eamonn Coghlan and Sonia O’Sullivan. Unfortunately injury put paid to her Olympic dreams in 2004 and she was never able to reach the same heights again.